Amish Urban Wave Bedroom features curvy, yet clean lines. 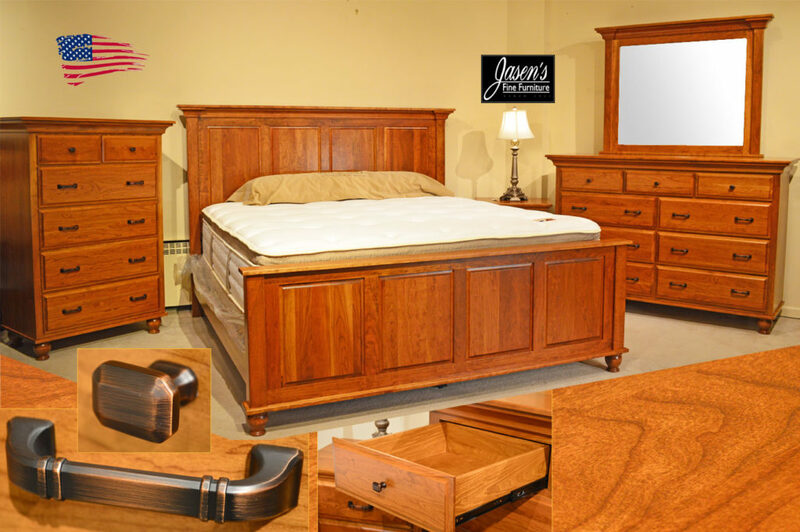 The bedroom features solid brown maple construction while maintaining a modern style. 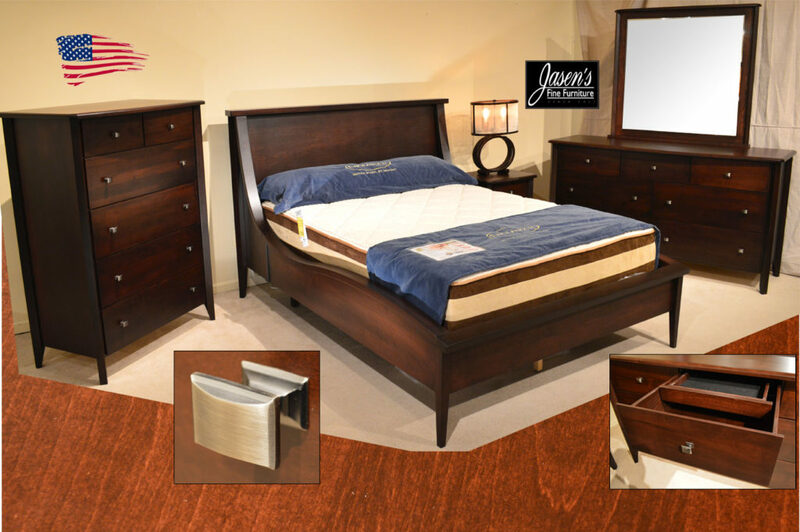 Premium soft close glides are on each drawer in addition to the bedroom’s refinement. A hidden drawer is also featured on the dresser to hide your valuables. 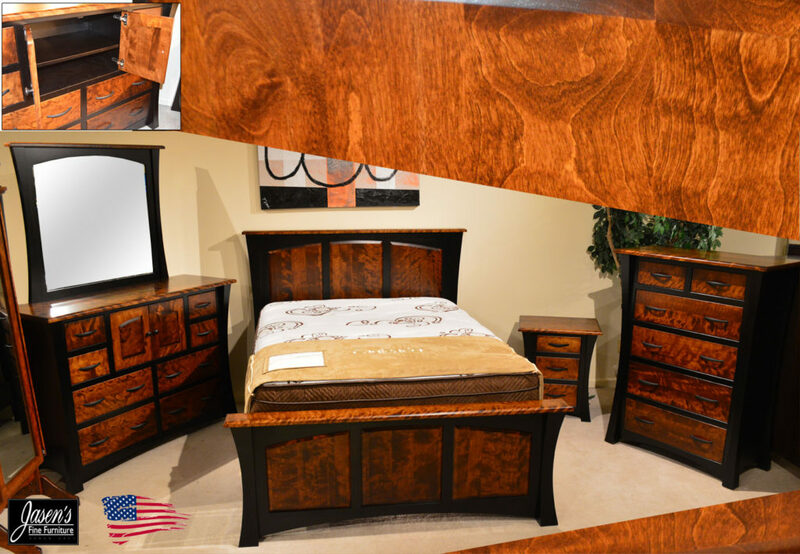 Options for the bedroom include other varieties of wood specie including oak, cherry, quarter sawn oak, and more. Hardware that is shown on the bedroom provides extra style to the soft look. Tops on each piece have a 1 1/4″ top that gives each piece an almost heavy look. 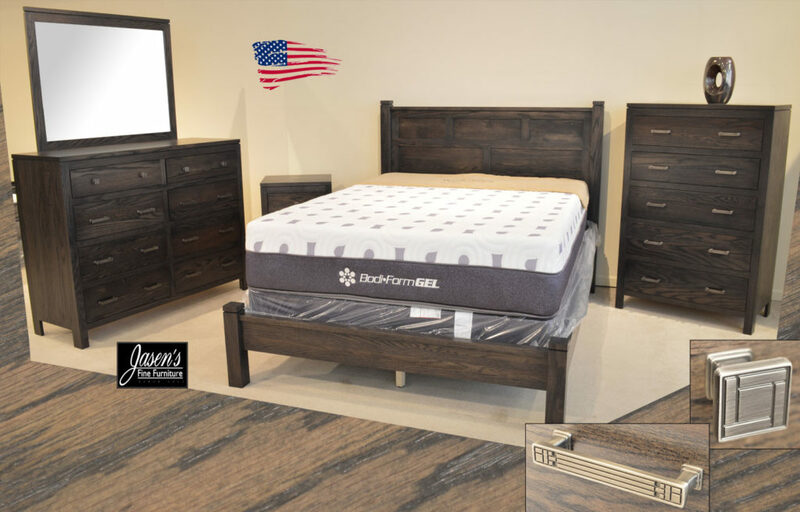 The Amish Greystone Bedroom features clean, modern style yet timeless quality. The bedroom features solid oak construction while maintaining a modern style. Options for the bedroom include other varieties of wood specie including maple, cherry, quarter sawn oak, and more. 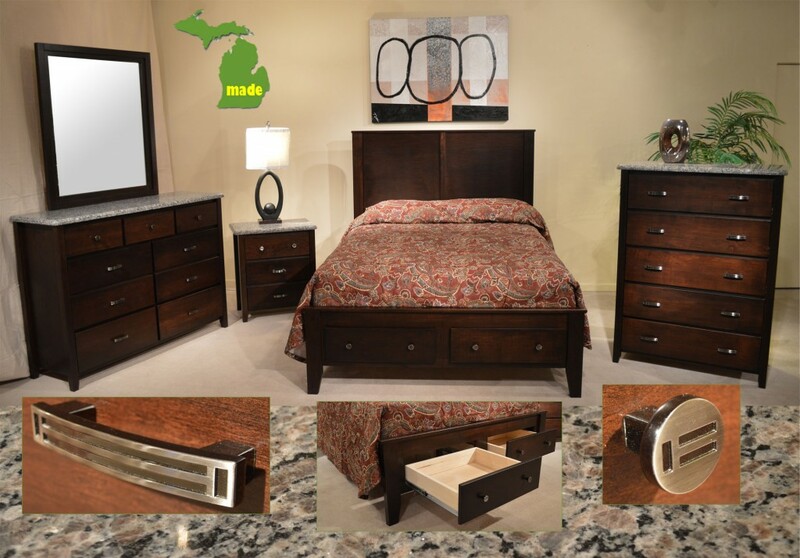 Hardware that is shown on the bedroom provides extra style to the squared off look. Tops on each piece have a routered channel that gives each piece an almost floating top look. The Amish Basket Bench features unique, yet functional basket drawers on glides. The bench has modern lines while it utilizes old world woven baskets. Baskets are on durable and consequently functional, full extension glides. Glides are mounted under the baskets to retain the charm of the baskets. The padding is included and the fabric shown enhances the weaved basket look. Fabrics to choose from for the bench are numerous to almost a 1000 or more. Solid wood construction will ensure that the bench will last for generations. The bench is made entirely of Solid Brown Maple while shown in a timeless Tobacco stain. There are many wood specie to choose from including Oak, Cherry, Quarter Sawn White Oak, Walnut, and more! Furthermore, there are dozens of stain colors to choose from in each specie of wood. Finally, the bench is made my the Amish, hence it’s made in the USA! Amish Drawer Bench features practical yet stylish design. The bench features two full extension drawers and padded top. The bench can be ordered in hundreds or almost thousands of fabrics and leathers. 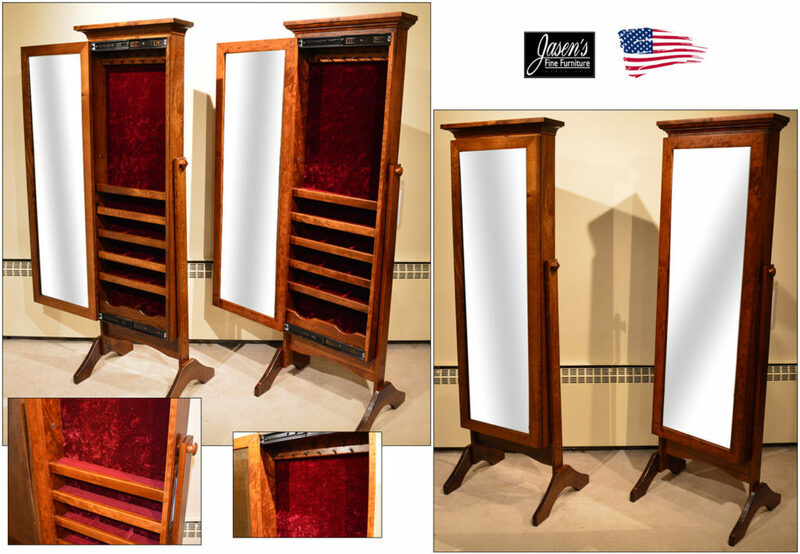 The piece is constructed of entirely solid wood with an almost limitless amount of stains. The bench is featured in solid oak in addition to the gray stain. Furthermore, the hardware shown is a rustic iron, but there are hundreds of others to choose. The item is made my the Amish, therefore it is USA made! Also available in three drawer length. 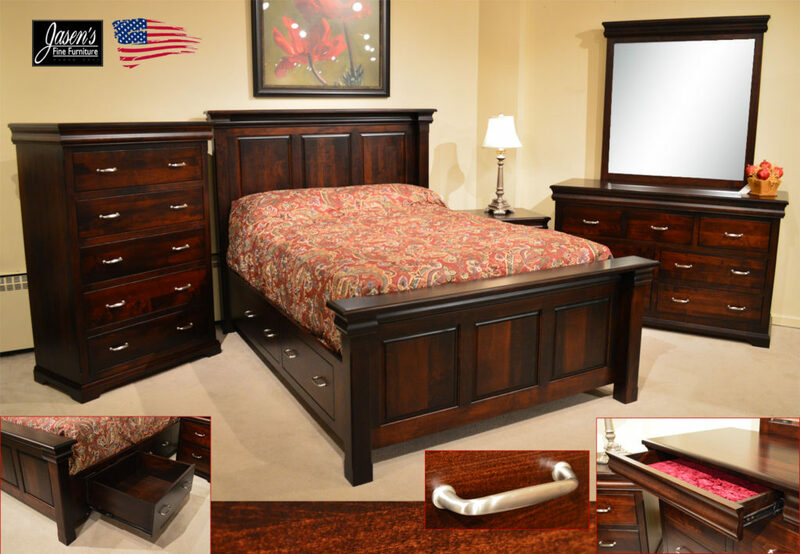 Amish Royal Bedroom features smooth full extension glides on all dovetailed drawers. 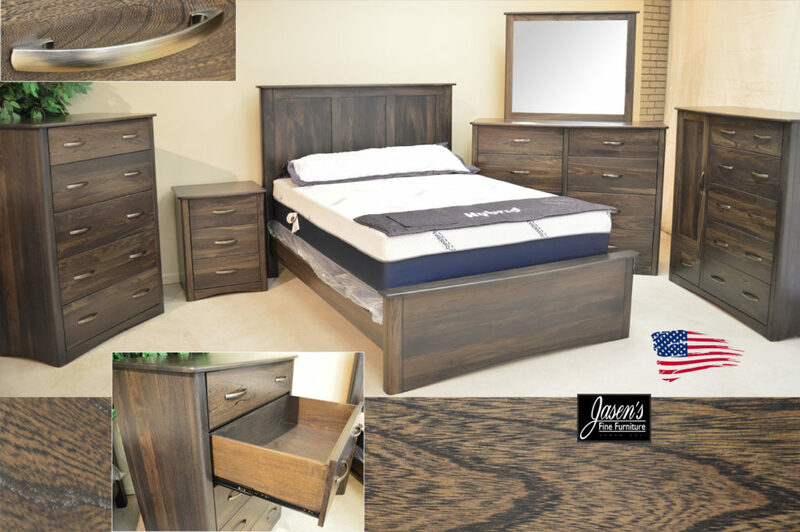 The solid wood bedroom is also shown with the storage platform bed option. The bed has massive post legs and each edge has been thoughtfully routered for great detail. The bedroom is constructed entirely of solid brown maple, however you can order it in any wood specie you like. Besides the wood specie, you can also choose any stain color you like for your own personal touch. The drawers are dovetailed, finished inside and out, and have brushed pewter pulls. Finally, you can also pick your own hardware from an extensive catalog with 100’s of styles.